Amritsar/Punjab (November 18, 2012): Terming the situation alarming, the ‘Sikh Youth of Punjab’ (SYP) has resolved to take proactive steps to tackle menace of drugs and apostasy in youth. At a meeting of office bearers of SYP held here today, the organization was of the view that the basic problems facing the Sikh youth are growing apostasy, proliferation of deras, large-scale corruption in politics and drug menace. It felt that there was a need for concerted efforts to face these challenges. The meeting resolved to hold series of public meeting on these contentious problems to create awareness amongst youth. SYP head Ranbir Singh said there was no denying the fact that Punjab youth suffers from high incidents of drug menace. The issue has recently again come into focus when Congress leader Rahul Gandhi during his visit to state made a comment on the situation saying 70 percent of state youth is drug addicts. He said this provoked Punjab CM and Deputy CM to blame the centre for failing to stop the smuggling of drugs from across the international border. SYP vice-president Paramjit Singh and general secretary Manjit Singh said something was deeply wrong somewhere vis-à-vis mushrooming of deras and weaning away of youth from mainstream Sikhism. Of course, most of these dears are patronized by the political leaders, including from the Akali Dal. Dal Khalsa leader Kanwar Pal Singh exhorted youth to take up the responsibility of cleansing politics from its current maladies instead of confining themselves to demanding their rights or crying for grievances. Addressing the meeting of its youth wing, he said politics influences all aspects of life and youth should be prepared to take up the challenge to cleanse the system. He said focus of today’s youth should be to practice and pursue ideological politics. Punjab Drug Addiction Debate: What is the Truth? 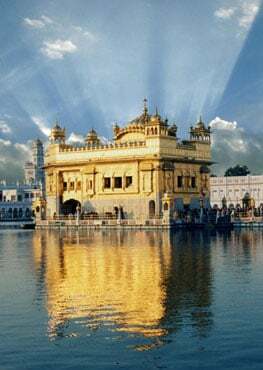 Sikhi and Apostasy (leaving Sikhi) - God is definitely Great.